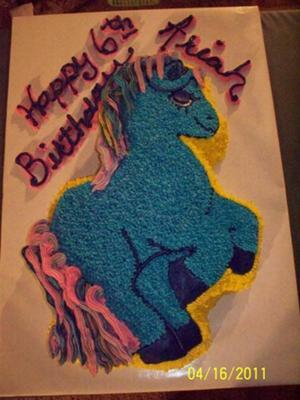 To make this My Little Pony cake, I used the pony pan and one cake mix. I covered the cake in buttercreme in different colors. Ariah wanted the 'hair' to be rainbow colors so I did what I could.